My not so favorite part about getting my hair done at a salon is not the price, or the fear my hairdresser will cut 3 inches, despite the fact that I ask for 1, actually it’s having my hair washed and rinsed in the sink. You know the one; it has a groove for your neck, yet it’s still oh-so-uncomfortable. There is actually something way more serious at stake than that discomfort. Your hairdresser may be putting you at risk of getting Beauty Parlor Stroke. 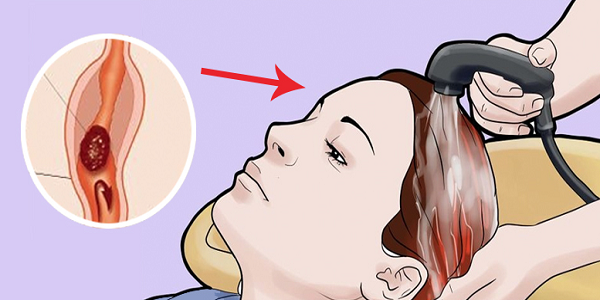 It is a stroke that is caused by damage to the blood vessels in your neck, because of the strain and jerky movements that the salon’s shampoo sink creates. A woman noticed sudden weakness in her left leg and left arm about a week after going to her hair salon. Then, in about another week, she was rushed to the hospital with projectile vomiting, nausea, and a hot to the touch head. The doctors confirmed that she had had a stroke. A stroke is a disease that is caused by restricted oxygen in the brain. When the blood vessel is blocked or damaged, it can lead to abnormal blood flow or even clotting. The reduced blood flow makes its way to the brain and kills the brain cells. The physical consequences depend on the region of the brain that was affected. For instance, damage in the left side of the brain can lead to problems with the speech and language or problems in the right side of your body. Damage in the right side of the brain could lead to vision loss or problems in the left side of your body. Stroke is the fifth most common cause of death in the United States, and the first most common cause of disability. Victims of stroke are 40% men and 60% women, and with age increase the risk of stroke. Still, 80% of strokes may have been prevented! Make sure the hairdresser washes your hair in a sink that is more comfortable for your height, or in some adjustable chair. You should always rest the back of your neck on at least one folded towel (more is better) so as to minimize the strain. Manage your blood pressure. The blood pressure is the largest preventable factor for getting strokes. Keeping the high blood pressure in check can make the biggest differences of stroke prevention.Have a healthy, balanced diet. If you are consuming foods that are too high in cholesterol, trans-fat, and sodium, you are increasing the risk of stroke each day. In its place, focus on eating whole foods with more healthy fat contents, flavor your meals with some salt alternatives, and watch the sugar intake. It is not only about what you put into your body, it’s about what you are doing with it. If your daily lifestyle lacks exercise, you are increasing the risk of diabetes, high blood pressure, high cholesterol, heart disease, and even stroke. If you or anyone near you, start to experience these symptoms of a stroke, immediately seek medical attention! The faster you respond to the warning signs, the better your chances of recovery and survival.